Line U9 operates every 5 minutes during off-peak daytime service, and every 4 minutes during peak hours. 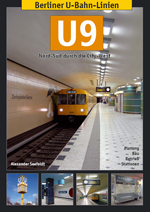 Alexander Seefeldt: Berliner U-Bahn-Linien - U9 Nord-Süd durch die City-West. Convenient 2-level interchange station, with line U9 stopping on the upper level. 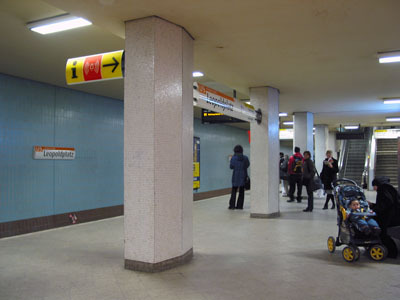 Convenient 2-level interchange station, with line U9 stopping on the lower level. 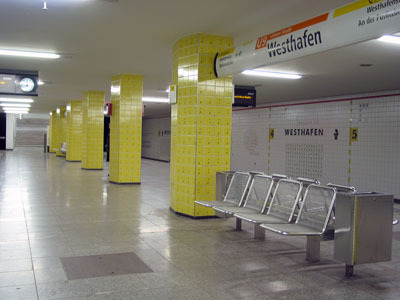 Located below the busy intersection of Kurfürstendamm and Joachimsthaler Straße in the City West, with transfer to line U1 provided from the northern end of the platform. 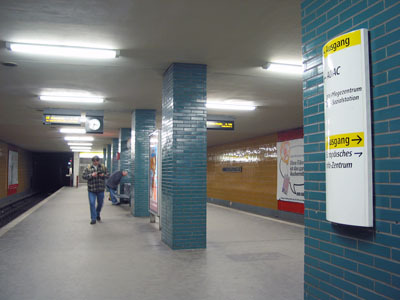 Transfer to line U3 is via a short tunnel at the western end of the platform. Convenient 2-level interchange station with line U9 stopping on the upper level. 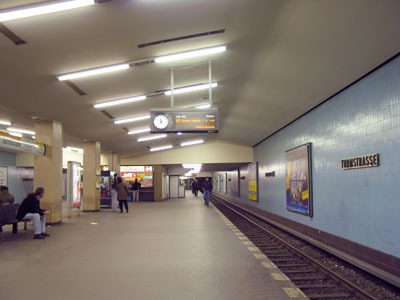 Side platforms, with separate access to S-Bahn platform. 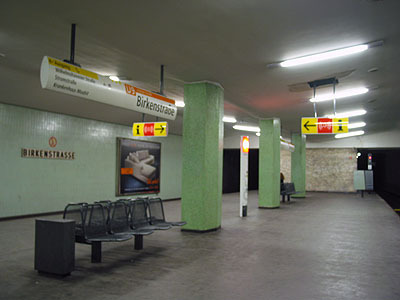 2-level station, in provision for cross-platform interchange with a once-planned line U10; southbound on the lower level, northbound on the upper. 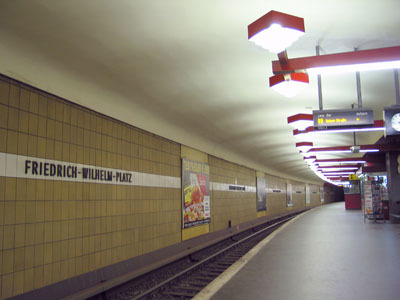 'temporary' use of U10 platform; the actual U9 side platforms are hidden behind a wall in the mezzanine, for a once-planned extension to Lankwitz.